The History of Farber Bag & Supply Co.
320 pages. Photos and index. The first full biography of Jay Berwanger is the story of an Iowa blacksmith’s son who emerged to become the best college football player of the mid-1930s — despite playing for University of Chicago teams struggling to be competitive in the Big Ten Conference. 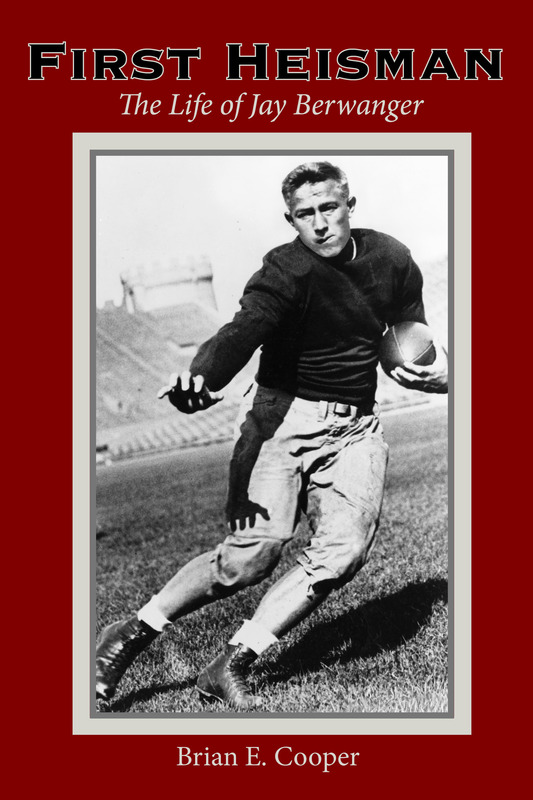 The book recounts Berwanger’s high school and college competitions in football, wrestling and track — including his election as the winner of the first Heisman Trophy and his selection as the first player chosen in the first National Football League draft. The biography continues with Berwanger’s post-football success in business, his wartime service, triumphs and tragedies in family life and his generosity toward many causes, including his beloved University of Chicago. To have a copy of FIRST HEISMAN inscribed by the author and shipped to you, click the BUY NOW button below. If you would like your book personally inscribed by the author, please email instructions on how you would like it signed to brian.cooper@crestwoodpublishing.com.